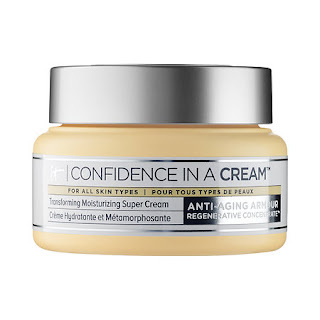 Just in time for new Fall beginnings and beauty looks, IT Cosmetics has launched the IT Cosmetics Confidence In a Cleanser, part of their IT Cosmetics Confidence in a... line of skincare, which includes their always buzzed-about IT Cosmetics Confidence in a Cream Transforming Moisturizing Super Cream. 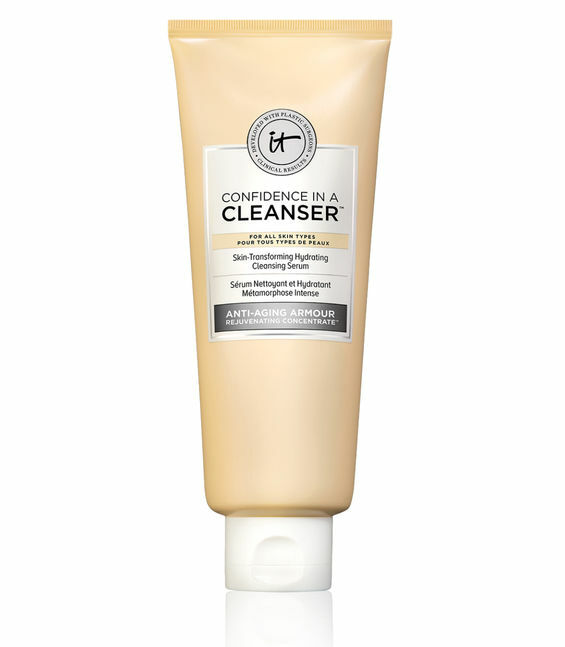 Confidence in a Cleanser was developed with plastic surgeons and in just one step, gently cleanses, tones and moisturizes skin. It has a texture between a gel and a serum, and suds gently. After cleansing and rinsing, my skin felt noticeably softer, fresh and balanced between my combination areas and my dry areas. Another plus: it's wonderful at removing all types of makeup and eye products, including waterproof and long wearing formulas. 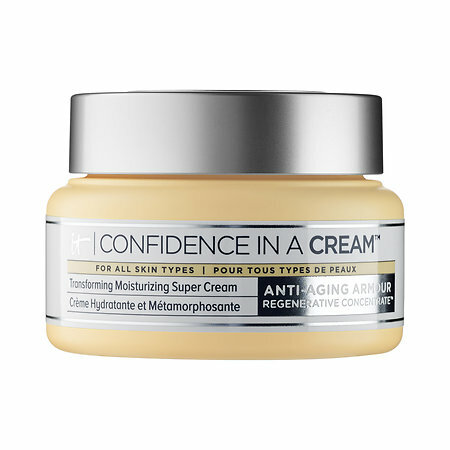 I started using Confidence in a Cleanser during a very hot, humid period, and have been just as impressed now that temps are cooler and drier. My face is smooth, toned, and calm with very few breakouts. The formula is very concentrated so I only needed a pea-sized amount to cleanse. I loved that it didn't make my skin feel stripped of moisture, but didn't leave any film or residue after I rinsed it off either. This formula will work for all skin types, including sensitive (it does have a very light, pleasant grapefruit-based scent that fades quickly).